The longlist for the Man Booker prize, the U.K’s most prestigious literary award, was announced Monday, and for the first time ever it includes a graphic novel. Nick Drnaso’s Sabrina explores the effects of a 24-hour news cycle after the disappearance of a young woman. Drnaso is a first-time contender for the prize and beat out previous Man Book winners such as Julian Barnes, Alan Hollinghurst, Pat Barker, and Peter Carey for his spot on the list. The prize money, 50,000 pound, is equivalent to about $65,000 and Drnaso is in the running against Pulitzer Prize finalist Richard Powers and previous Man Booker winner Michael Ondaatje. Speaking to The Guardian, Man Booker judge Val McDermaid explained the panel’s choice in putting Sabrina on the list. “We all read it and were blown away by it,” said McDermaid, who is a best-selling crime author. 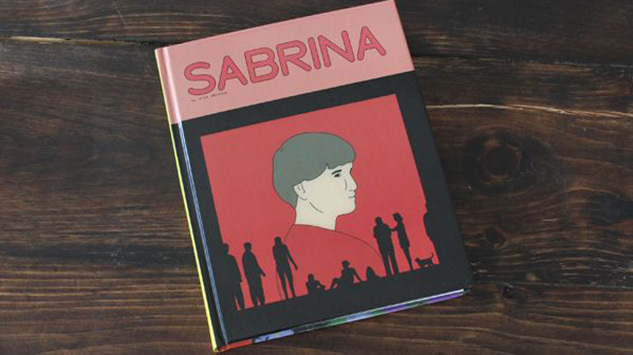 “The graphic novel has increasingly become front and center in terms of storytelling [and] we felt [Sabrina] does just what good fiction should do.” The panel of judges also includes Leanne Shapton, whose latest work — Important Artifacts and Personal Property From the Collection of Lenore Doolan and Harold Morris — has recently been in talks for a movie adaptation starring Brad Pitt and Natalie Portman. The shortlist for the prize will be announced on Sept. 20, and the winner on Oct. 16.